PT Indra Karya (Persero) – PT IKA or known as Indra Karya is a long standing state-owned company in Indonesia, running business in engineering consulting services. Formed in 1972, PT Indra Karya (Persero) was established as a continuation of PN Indra Karya. The Company was first established as general construction company. Because the company continues to suffer losses, then in 1978 the Company transformed into engineering consulting services company. As today, PT Indra Karya (Persero) has strong business competencies on engineering consulting services, including water resources development, electricity resources development, transportation infrastructure, survey and investigation, building, and environment. According to information found in Indra Karya’s website as cited by JobsCDC.com, PT Indra Karya (Persero) is a non listed state-owned company and is 100% owned by the Government of Indonesia which represented by the Minister of State-Owned Enterprises (SOE). 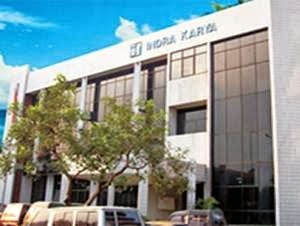 Headquartered in Jakarta, Indra Karya’s operations are divided into 3 regional operation areas; Regional I Malang, Regional II Semarang and Regional III Jakarta. Indra Karya also also supported by 2 division units; Survey and Investigation Division and Special and Investment Division. Preferably education background in accordance with Education / Expertise and graduated from reputable university (PTN/PTS) with accreditation “A”.